It is difficult for me to write this blog. You will understand why momentarily. In the past several years I have attended seminars and had lengthy conversations in three continents. One of the urgent topics of conversation is the slow death of aikido as a viable martial art in a world full of eye-catching alternatives. All I talked with were in agreement that aikido’s numbers are steadily falling and it is becoming increasingly difficult to continue to maintain a dojo faced with such overwhelming competition. The golden years of aikido seem long past. Young people prefer the sensationalized martial arts they see depicted on the movie screen in gory displays of violence. They want something they can learn quickly and turn themselves into superb fighting machines in record time. They have no moral compass to guide them in the meting out of techniques designed to kill and maim. For them, if the other guy starts a fight, then he is fair game to be taken down a notch.. If he gets hurts in the scuffle, then was happens to him is well-deserved. Aggression inspired by arrogance lead to destruction and humiliation, a lesson learned by Japan in the aftermath of World War II. Action scenes by some of the biggest names in Hollywood and China, not to mention the uber violence portrayed in video games, simply reinforce this mentality. Aikido as conceived by Founder Morihei Ueshiba has a unique alternative to offer the world: a vast curriculum of highly effective techniques and a moral philosophy guiding their use. But this genius of a man has been swept aside by the organizations that now operate aikido. What little mention there is of him is nothing less than schizophrenic in nature. Morihei Ueshiba has proven useful as an authorative figure to boost the status of various organizations, but his superlative techniques and Shinto-laced manner of speech are considered antiquated and irrelevant, and have been summarily discarded by aikido’s governing bodies. So how is it that today’s aikido leaders expect to compete in a world filled with flashy martial arts focused on competition, the more violent the better? If public exhibitions are any indication, the All-Japan Aikido Demonstrations exemplify aikido’s answer. Their solution is to put on display highly choreographed demonstrations in which everything goes oh so smoothly with participants moving about effortlessly downing attackers. To add more spice to these performances, most throws involve spectacular high falls that only a few well-trained athletes with acrobatic skills can pull off. Veteran practitioners of other martial arts with experience in violent fighting competitions express derision when viewing these hollow performances. Are we showing Morihei’s aikido or emulating the Cirque de Soleil? Well, we’re definitely not modeling ourselves on Morihei Ueshiba’s aikido and as circus performers we are third-rate. So what is the answer? Go back to the source! 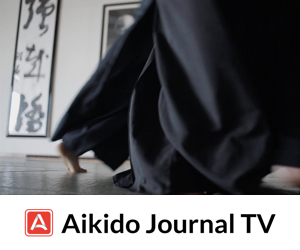 Aikido Journal has meticulously collected and organized most of the extant film footage of Aikido’s Founder. You will find it here. 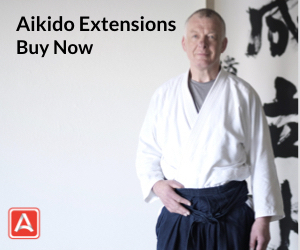 He is a model and inspiration for what you can achieve in aikido! 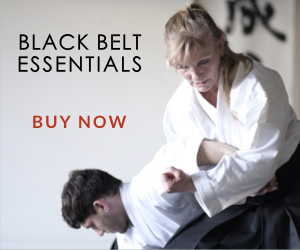 We have further put together the most important resource of aikido technical material in existence featuring one of Morihei Ueshiba’s most talented disciples, Morihiro Saito. It is the gold standard for those desiring to polish their technique. Morihiro Saito was a devoted student of Morihei Ueshiba and a martial arts genius. His remarkable systemization of the Founder’s curriculum is vast in scope, and precise and clear in its presentation. Saito Sensei’s aikido is here. Now what can you do as an individual practitioner? While training on the mat, don’t adopt a passive attitude. Become proactive and strive to learn to blend with your partner. Next, when you are acting as nage, make the first moment of contact with your uke decisive. Your first action should take uke’s balance. When you have succeeded in unbalancing the attacker, your aikido will become highly effective. As uke, don’t be a participant in a choreographed faked sequence where “I’ll let you throw me if you let me throw you.” While being respectful and safe in your practice, don’t tank for nage. Nage has a job to do to take control of the situation and produce a clean, effective throw. You as uke have the job of presenting a committed, sincere attack. This means you don’t take advantage of your foreknowledge of the technique being practiced to thwart nage’s every move. Remember nage can do the very same thing to you and you’ll both look stupid practicing in such a manner. You will never progress by training in this way. Follow the Founder’s example and put your body and soul into every movement and always maintain a beginner’s mind. You will never stop learning and improving with the right attitude. 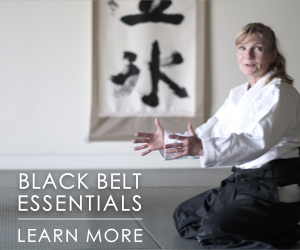 Aikido has amazing benefits to offer. Basing ourselves on Morihei Ueshiba’s example, we can rescue aikido from its slow descent into oblivion. But only through long, consistent dedication, and offering the best we have to give. The reality of the matter is that O-Sensei wanted us to use Aiki to transform traditional combat. By using unusual and “transparent power”, we can create sophisticated and undetectable kuzushi, dominating opponents in a way that allows us to forgo maiming and disabling them with brute force or even jujitsu. O-Sensei changed the teaching model of the transmission of Aiki in favor of a more cooperative model, which can be seen in many of his videos where students simply fall down for him. If we want to change the outcome then we have to learn Aiki the way he learned it. The Daito Ryu model of full resistance is a good start, but only if done with teachers who can transmit Aiki to their students correctly, at least giving the students a semblance of what they should be doing. Michael, thank you for your comment with which I am not in full agreement. At the very end of Morihei’s life when he was an old man dying of cancer, his ukes may have taken falls. Even a few years earlier before disease weakened him, he was a force to reckon with and a master of manipulation of uke into a position where he could not mount an effective attack. The mainstream of Daito-ryu Aikijujutsu with which I am very familiar with resorts to physical strength regularly and practice is always on the edge of injury. That is my view. Morihei Ueshiba has been significantly underrated by those who have not closely followed his martial arts odyssey. I wouldn’t so much say the demise of aikido. Whatever else happens it is likely to survive at least the present generation of the Ueshiba family. Rather I might say the decay. But decay is part of life too. If you think about it, the aikido we all know is a product of decay. Let us say, and I think everyone will find it reasonable, that O Sensei was the pinnacle of our art. The people who taught and promulgated the art in the postwar era, say 1955-85, just weren’t of the same caliber. I might make an exception for Saito Sensei, but he probably wouldn’t have agreed. Of course presently there are a large number of aikidoka who would disagree. Can we agree that none of us or our teachers could accurately and completely pass on O Sensei’s legacy? Now as to showy and spectacular, I distrust it. The people who really need fighting skills keep it simple for lots of good reasons. The biggest payoff is for the simple stuff which is easy to learn, retain, and when push comes to shove replicate. I’ll go out on a short limb here and say the same goes for aikido. To support that limb I’ll just ask, how many fancy techniques do you usually see in a five attacker randori? The showy stuff, though, pays the rent. This has been true all the way back to Musashi who commented on how the flower was more attractive than the fruit. If you have to fight, think SEALs, you train as you fight and fight as you train. That’s the warrior’s life. For wannabes who live in pretty comfortable low risk circumstances the “real deal” is unusual. For those few of us who hang in for years and decades anyway there was a saying in Hagakure, “…if you do martial arts for 30 years, you’ll just be an artist…” Artists tend to display their art for sale. Now within the art on display their may be a thread of validity, whether it’s perspective in Renaissance painting or effectiveness in modern martial arts. I am rather attached to effectiveness but my pursuit of it might seem a bit eccentric. In the ordinary course of events I would propose that most teachers take effectiveness on faith and just try to pass along what they have been taught. If they are egotistical they might try to add their own personal touch, style. If the art they practice is competitive that might or might not help refine its effectiveness. After all, Kano Sensei said, “On any day, anybody may win.” Where winning yields only a prize and losing only disappointment, there’s not much reason to expect it to say anything profound about effectiveness. The trophies in the window may help attract customers. If, as in aikido, there are no trophies, something else has to take its place. I would propose that O Sensei might have been the last whose reputation as invincible was a selling point. It seems to me that some things he said, taken out of context, are both the core of aikido’s attraction, and at the same time its decay. I affirm that in my experience aikido is an alternative to fighting, but not in the same sense as alternative dispute resolution. There are other cliches about aikido that I would affirm, but not in the sense they are often proposed in dojos. I hope that my training has led me to a valid understanding of these snippets of O Sensei’s inspiration. If it has, it has been because of my quest for practical validity. That pursuit has been interesting in and of itself. Yes. I have studied for over 40 years and have become an artist. This is, though, more than art. Great points, Chuck! Thank you. Sensei, having been lucky enough to train in numerous dojos around the world and with many teachers of various backgrounds and organizations, I feel VERY fortunate to have spent the last 5 years with Aikido Schools of Ueshiba. 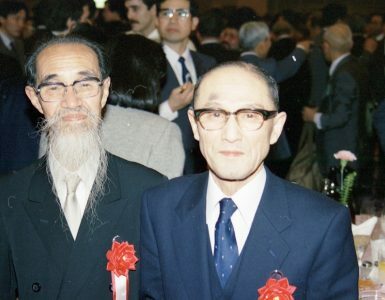 I believe that Saotome Shihan best epitomizes the teachings of O-Sensei, as do his students (ASU teachers), and note that we avoid most, if not all, the pitfalls that you have so often written about. I was of course generalizing in my comments, but I am now thoroughly convinced from an accumulation of anecdotal information that world aikido membership is in decline. I have speculated about some of the reasons. There is a tremendous amount of competition out there today as we have seen. Except in some quarters, O-Sensei’s teachings and techniques have almost zero impact. Pranin Sensei, I whole heartedly agree that O-Sensei had the Aiki that we are all trying to replicate and that he was a phenomenal martial artist and person. However I must reiterate that for all of the people practicing Aikido today, even if in diminished numbers, very few of them have “Aiki”. And of those few, even less of their students have it. If out of the millions of people practicing Aikido, if less than 1% of them have Aiki, there is a problem with the training model. I’m not saying that Daito Ryu style training is perfect, but if we want to get a different result, we have to do something different. I cannot believe that this is simply a matter of poorly transmitted technical aspects of individual techniques. I have just finished a training with Akuzawa Minoru Sensei, with whom you have previously conducted interviews, and without teaching a single Aikido technique, he was able to significantly improve the Aiki of all the participants of the seminar. There has to be something better than the current model. Stan you remind me of the character in Greek mythology who goes around telling the truth that everybody wants to eliminate. I admire you courage and perseverance (Year after year after year). I want to take a page from your book and bring up a related matter. I have spent many years trying to develop Aiki in the public schools here in New York. Anyone who has tried to develop or maintain these programs of future aikidoa is painfully aware of the lack of support, financial or otherwise from the organizations and federations. Actions speak louder than words and in 20 plus years of fighting the good fight I have yet to see any effort to promote a shared vision. I have to correct you on this. Daito ryu, at any rate one stemming from Kodo Horikawa via Roppokai, kodokai and other teachers, absolutely doesn’t resort to physical strength but can effect incredibly effective technique without injury, using aiki. The reason for Aikido’s demise IMO, is that it doesn’t use “aiki”. Instead, it does all the things that you point out in your blog. It’s a reason why I no longer practice Aikido and practice Daito ryu instead. There is no aiki in Aikido anymore. In replying to your post I carefully choose my words. “Mainstream” is the term I used and this style uses plenty of power and there are often injuries. Neither the Roppokai nor the Kodokai can be considered mainstream and have small followings. I doubt Aikido is alone (Karate, Judo etc) in the reduced numbers of people practicing because of the current trend towards the more fighting arts. O’Sensei asked his students to spread the Aikido message which they have done and we can say quite successfully since there are Aikido schools in almost every country these days. Numbers are always going to fluctuate and maybe Aikido has already had it golden years, but is that a bad thing? often quantity is gained at the expense of quality, so maybe a smaller number of practitioners is a good thing for those that continue to train. Anything that has value to people will survive (like vinyl) and Aikido is more than just a martial art and that will always attract at least some people. BTW I never seen any article relating to if it is possible that somebody else could obtain the skill and ability levels of the founder. One assumes it must be at least in the realms of a possibility. After all isn’t that what any Aikidoka is secreting is aiming for ? to be as good as the founder! That would certainly turn around the numbers. A number of writers have taken on this task, Ellis Amdur, to mention only one with an aikido background. In my opinion, Aikido is a serious undertaking requiring multiple layers of understanding. Very few teachers have any depth on the various levels required. And yes, the modern fighting arts have a lot of appeal. As these people endure injury and are forced to soften, perhaps internal martial arts will be able to broaden their appeal. Truthfully, if a student wants to learn how to fight (especially in short order), Aikido is not the right art. Our training is not broad enough, our attacks are not broad enough, and we advocate no forms of sparring. Not to say that some of our techniques don’t have applications. Of course they do. For me, however, the joy in the training does not come from an acquired feeling of invincibility (real or imagined). It comes from the opportunity to explore the depth and mystery of relationship. I have spent 25+ years with Aikido and even though I practice Shoji Nishio’s “style” of Aikido which emphasizes a more martial approach something is missing in the current Aikido paradigm. That is Aiki. Ten years ago I would have argued up and down that Aikido is an effective expression of Martial Intent. Then I went to see some folks who teach Bujitsu and who emphasize solo training. The Aiki in Aikido has been marginalized and Waza over emphasized. I see it in our Aikido. Once Nishio Sensei passed away, most (not all) of his Senior students emphasized technique over internal development and Waza over Aiki. It’s a sad state of affairs. I can’t talk about it with my peers because they think that mastery of form means mastery of Aikido and feel insulted. There are a few folks out there (Sensei Bill Gleason among them) who understood what made Aikido…Aikido. This has been lost for the most part. The illusion that somehow if one has mastered better ways to do Shihonage or Irimi that one has mastered Aikido is a sickness in my view. A sickness that will eventually regulate Aikido to a quaint practice done by hipsters who talk the talk but can never walk the walk. That is why Aikido is slowly losing credibility because without Aiki it’s no different than anything else in the Martial Arts world. That would be sad. I love Aikido and I have a responsibility to express it correctly and that means with Aiki. See you all somewhere down the road. The term “Aiki” has been defined in many different ways by schools who trace their lineage back to Sokaku Takeda’s Daito-ryu Aikijujutsu. This is no agreement as to its meaning. Yukiyoshi Sagawa, Kodo Horikawa, Seigo Okamoto, and numerous others all have their own interpretations. This an oriental aura around its perceived meaning that complicates things and makes intelligent discussion difficult. In recent years, I have eschewed the term altogether because no one is in agreement on its meaning. What I am doing is principle-based where positioning and balance-breaking are stressed. I want to keep things as simple as possible and use terms that the western mind can grasp. The future of the Aiki arts is not in Japan. Of that I am convinced and Saito Sensei used to say this all the time. It has nothing to to do semantics. It has to be experienced (“felt”) I have “felt it” in American, European, and Japanese practitioners. I would also submit that modern day Western Style “interpretations” of “Aikido” contribute greatly to the obfuscation of Aikido’s “true meaning”. Having felt “it” I now know what it “means” and will spend the rest of my life trying to understand it. 🙂 Maybe someday I can learn enough to help keep Aikido…Aikido by sharing it. 🙂 I am a long way from there yet. I have felt Tatsuo Kimura’s aiki, that of Seigo Okamoto, and various members of the Kodokai as well as mainstream Daito-ryu “aiki”. I found each to be different, ergo my comment about semantics. I’m an Aikidoka from southern Germany. I feel very sad about the decline in people taking up Aikido and I am trying to promote it wherever I can. When we do outdoor training, many passing people show interest but have never heard of it. Next thing is that people are already running out of time and Aikido has to compete with many other interesting things. Media presence is low, as there are (luckily) no competitions or championships. Also, it is “old fashioned” in the way you have to persistently acquire skills and there is no “copy – paste” approach. One obstacle seems to be that you have to *touch* other people and allow for a *intimate* relationship as learners, being confronted with your imperfection and sharing this with your group or training partners. When someone asks: “What is Aikido?”, I feel, I can only give lengthy explanations, because there are so many wonderful aspects, and I can’t lie and say it is “self-defense”. So if someone has a quick and successful answer to the Question, I would be happy to hear it! For the time being, I think we are left with relentless promoting beginners courses, because I think, when it is the “right thing” for you, you have to feel it to get hooked! A voice in the wilderness proclaiming a clarity of vision that is too inconvenient for mere followers and socialite hobbyists who never really get past base one anyhow. But fear not, you are not alone and there are yet a few dinosaurs left who have not departed the Way. It’s the same in all things. There will always be a core of torch bearers who, “get it” despite the fluctuations and vagaries of populism. Some of these will not cease vigilance in imparting what they can. Keep cultivating it for yourself no matter what. Stan, would you consider writing about what receiving technique from the various people mentioned above felt like? Their differences and similarities (If any) and how it related to your experiences in aikido? I was aware that you had direct exposure to a lot of aiki practicioners, some of whom are no longer with us, and I’ve always been interested to hear your opinions on these experiences. I understand the dilemma with using the term “aiki” as it is so vague. I have tried to come up with easier English terms myself, but have not so far found any term that does justice to the concept. I think that we simply don’t have an equivalent concept in Western, English speaking culture at the moment. I don’t do traditional Aikido any more but used to train at Hombu Dojo in the 90s and used to devour Aiki News whenever it came out. I have three observations, and don’t pretend to be any kind of expert. One, I think all the traditional martial arts are under pressure at the moment from MMF and Brazilian Jiu Jitsu and other hybrid styles, both of which weren’t so well known when I began training in the 80s. Second, for an art based on harmony, Aikido has a lot of fragmentation. In my Iaido dojo alone, out of only six regular students, one does Yoshinkan, one does Ki style, the other does Aikikai. Third, and this is maybe a bit controversial, you do tend to get some big egos in Aikido dojos. I have done Karate, Wing Chun, Shorinji Kempo etc and my two worst experiences in the martial arts have been in Aikido dojos. Either that or people treat as another religion. Of course, I have met lots of great people too. As I say, just humble observations. I wish you all well and I really hope Aikido prospers, as I owe a lot to it. I am sure it will. First I would like to thank you, Stan, for your lifetime of profound work and research into the aiki arts. I have learned many things from your efforts and have the utmost respect for your unwavering dedication. You are an inspiration to us all. I apologize for the length of this post, but on my journey I have been continually inspired to place something in the (digital) world about the subject(s) discussed here. Thank you all for allowing me to add another voice. I believe Aiki, like language, is fundamentally free. It is a rhythm, a wave, a spiral existing all around, for anyone to discover. Indeed it must have existed for epochs, seen in the fighting styles of many creatures, human and not. The purpose of practicing in a tradition, style, or drilling techniques is to introduce us to this profoundly powerful, blending force. We create technique to set a context in which aiki can be born within each of us, but how we learn to steal balance through communion with another (chushin-dori) is a deeply personal process. I have seen many dojos which seem to operate simply on the foundation of technique, only ever setting the scene for aiki, either explicitly or implicitly. Perhaps partly because it seems to some as a kind of unforgivable arrogance to deviate from the given forms in search of aiki’s personal meaning. This limiting view is dangerous. I wonder if we must learn to accept that our striving to perform “perfect” technique often undermines the feeling of aiki. Ueshiba has said, “Aikido originally had no forms. There are no techniques–what you express each time is a technique.” I believe, that when the truth of endless possibility is seen in each moment, one must abandon technique. That is not to say technique, as performed, written, and passed down during the last 9 decades of aiki practitioners has no value; but that our rigid adherence to these forms has served us a distraction from the power behind their purpose. And so I wonder, who will want to dedicate a life to the learning of forms if they serve to subversively limit and distract the body’s movement? Who will accept that we must soundlessly dissect the thousands of possibilities in each motion before we find the way our body moves naturally to find kazushi? Have our learned styles been limited to the predictable, with any deviation seen as “wrong”? How then can we surprise ourselves?! Where then is the joy? We find that the more we learn, the greater the responsibility to pass on the tradition as we have learned it. Having never developed a personal expression of aiki through the trees of technique, how can one be an effective instructor? It is through aiki that we seek a position of sustained balance/imbalance, a floating space, a passive channel through which we can quietly brave an utterance of our own, a place of subtle intention (zanshin) and achieve a peaceful (appropriate), personal outcome to the series of events we call a life. That, to me, is budo, and the key to keeping the joy of aiki alive and well. Thank you all for a wonderfully relevant discussion. I wish us all the joy of aiki now, and forever. Good students pay attention to what the master teaches and O’Sensei clearly told everyone that Tohei Sensei was the heir to his school and the best example of aikido in the world. While Saito Sensei may have the best mirror of technique, it’s clear to me, that O’Sensei wasn’t trying to teach just technique rather than the applicable philosophy and synergy of ki WITH technique. it’s only when ki from the hara is applied that aikido techniques becomes more than just wrestling. If we do what O’Sensei said, we learn from Tohei Sensei. But in the same sense, it’s foolish to think that O’Sensei didn’t anticipate that all of his main students would have different ideas about aikido. Maybe O’Sensei invited the conflict in styles and training methods so that we could explore and learn for ourselves. Perhaps O’Sensei felt that the exploratory method of learning, seeking out different teachers and styles as he did, was the best way to learn and create your own aikido? What are your sources for this series of statements regarding Tohei Sensei if I may ask? A (sadly) very relevant topic, with a lot of interesting comments, Stan, thanks for bringing this topic to the attention of the aikido community! Now ever since I developed a strong interest in Osensei’s Aikidō, I had the impression that today’s aikido is all about putting on a show and mimicking the effects of Osensei’s skills, instead of actually developing those skills. Basically there is an agreement between uke and nage: uke falls when nage applies the technique, and nage can have all the good feelings of a successful technique, like being in control, executing flashy circular flowing motions and whatever. This way, it seems, you can have all the gain without the pain. Ironically, I think, this approach that Stan names as the demise of aikido, was actually the main reason why aikido became so impossibly popular in the first place. Many comments above bring up the issue of today’s aikido lacking aiki – by aiki I guess they mean the skill that made Osensei’s techniques actually work. I am a bit surprised at how many people associate this skill that Osensei certainly have called aiki or aikido – with the Sagawa/Horikawa interpretation of aiki – which to my understanding is something like “internal power” in Chinese martial arts. Now judging form the pictures/illustrations/videos I saw of these “internal” aiki practicioners (Kimura/Okamoto/Iida etc…) their techniques do seem quite similar to me – all executing powerful techniques with obviously very little movement/effort/tension – on the other hand, however, they don’t remind me of Osensei’s techniques at all. I wonder what would happen to actual aikido techniques if a lot of people suddenly started to practice that kind of aiki. Also, I think that these schools being actually quite unpopular is not a coincidence, so I just have my doubts about how effective a remedy their approach could be to the current declining state of aikido popularity. I personally like the approach of teachers like Gleason sensei much better, who try to reconstruct the skills Osensei had but still retain the form and spirituality of Aikido. Maybe Stan is trying to do the same with his “Zone theory”, I personally am more interested in that kind of approach than simply just deferring to an other Daito ryu school. don’t know defense techniques against kicks! My question is: Saito sensei had show any technique self-defense kick or not? I read your blog post but after my 20+ years of Aikido you are still missing the point. I became interested in Aikido after watching the opening scene of Above The Law where Steven Seagal showed the world this unique martial art. I was ten years old at the time. A year later I watched him in Hard To Kill. The scene in the house towards the end where Seagal defends himself against the guy with the knife, demonstrated Seagal Sensei’s incredible ability to show techniques he knew would wow the audience. Not only that, but it was his choice of techniques which he used that set him apart, showing his very radical and unique style of Aikido that he has emulated from the traditional form. Seagal sensei got it. He understood that you have to make the art useful in the real world. 99% of Aikido been taught today is simply stuck in the past. Teachers have been brainwashed by Osensei’s confusing rhetoric, which, in my opinion, I don’t think he understood or came up with. I think he borrowed a lot of his material from books associated with his religion. Maybe, just maybe you have to open your mind and be open to the suggestion that Aikido does not have all these effective techniques like you think it has. Maybe they work in the dojo, but outside it’s very different.I know it’s hard to accept and I doubt you will. Seagal sensei knew this. He cut a load of the nonsense out of it. He made Aikido interesting and useful. If you notice, he sticks to just a few techniques of different variations of attack. You have to ask yourself why? He is the only one to adopt Kenjutsu into his Aikido, using the hands and arm to represent the blade of the bokken. GENIUS!!! That is why , in my opinion, his style is simply far superior. 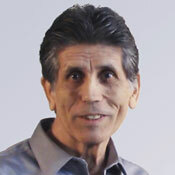 Talk to his students and watch Lenny Sly on Youtube discuss this in great detail. Gracie Jiu Jitsu turned the martial arts world on its head and finally the world was shown when it comes to style vs style what is the most effective. Why do you assume that Osensei was so good? You have never trained with him, you have not attacked him for real and you have never seen him in a stressful situation against an attacker who is hell bent on hurting him. There is absolutely NO evidence to suggest he was good at self defence. Have you never asked yourself why there was no footage captured on film like Tohei had to do when he went up against the skeptical American Journalist in Rendez Vous with Adventure? Tohei’s Judo saved him in that scuffle. There is too much theory and rhetoric in Aikido that has come from the founder. He was a great salesman, a charlatan to some, he understood coercive persuasion and how to manipulate people. Was he good at looking after himself in a fight? Who knows and you will never know but we can form an opinion based on what we see in his videos and in my opinion, it’s not very good. What is wrong with accepting the realization that Aikido might not be this ultra effective martial art that it has been built up to be? It’s a complicated situation because Aikidoka can’t decide what they want Aikido to be. Is it a religion (cult) or is it a form of self defence? Can you really have both together, am not sure. Aikido today is simply boring. I can’t tell you how many times I have been in a class looking at the clock. I think many go for the social side just to say ‘hi’ to their friends. I mean, how many more times can you keep doing shio nage off katate dori when you have been practicing for years. It’s like ground hog day and just becomes boring for many. I said years a go that Aikido was in demise. Steven Seagal can’t keep carrying it like he has done since 1988. Numerical decline might be associated with decline in practical utility, but there’s more than that. Once upon a time Bob Nadeau Sensei said something about how the Japanese didn’t understand how to disseminate and grow the art in an American context, but that the Californians did. I took that to have something to do with the fairly anarchic Northern California Aikido Yudansha-kai. Any two black belts constituted a quorum… 😉 Inclusion and tolerance are elements of growth. That’s pretty strange in the context of a dojo which is hierarchic. His comment, as I understood it, related to Hombu imposing Yamada Sensei on American aikidoka. At some point Hombu rethought that and accepted the Northern California group as a valid source to recommend promotion. At some point they also decided that Saotome Sensei’s American group would also be accepted. That is hardly aikido’s fault! How long would such people last under the late Saito Sensei? I would hate to turn aikido into whatever fantasy these misguided people are looking for. I think globally martial arts have fallen off around the world. There is a lot of anger building around the world, so we may see a swing in the other direction soon. However the dance stuff that is being taught in so many places will not cut it any more. 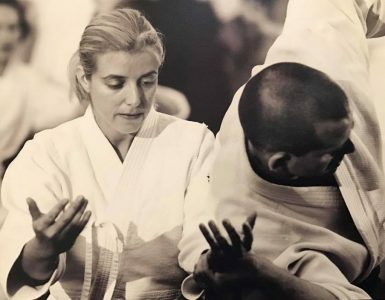 You have unwittingly or perhaps deliberately hit on a major source of the problem in some of your articles of the past few months in looking at who really spread Aikido around the world. The Aikikai did, but the strong techniques of O’Sensei’s Aikido were limited to create exercise instead of Budo. So many people think they are teaching Budo, but you can’t do weapons with it. Many of those who do weapons, stress just “blending” instead of thinking of the movements as a mock fight. Another problem is laziness. Americans seldom want to take practice to the levels that I experienced in Nishio Sensei’s and Saito Sensei’s classes in Japan. There is a major sensei in this corner of the country who regularly tells his students Aikido should be Budo and not just a dance, but the vast majority of his students are dancing with a lot of false smiles thinking their false techniques are effective while the ukes go flying about. I hate practicing with such people. I throw people or strive to thoroughly control and take Uke down. When somebody goes flying away supposedly to make me look good, I feel cheated. It is a cheat. Neither party learned anything. When I teach a class and somebody goes flying away from me. That Uke is done. Go sit down. Next. Nishio Sensei gave me a writing that says “Teach genuine powerful techniques”. That’s what I strive to carry on. Occam’s Razor demands that we prefer the simplest reading of “Aiki”, which is “joining energy”. This is a simple physical concept: we move along with the opponent’s force, joining our energy to theirs, “blending” rather than straining against them. Any other meaning of “Aiki” is secondary to this root meaning. Aikido is the martial art of joining energy. A smaller person can defeat a stronger opponent using little force, and without violence, by means of Aikido principles and superior technique. Judo also emphasises the principle of joining energy. Unfortunately, most modern Aikido schools are focused exclusively on gentle Aiki, and rarely practice realistic combat. Aikido can be very effective in combat, but it is not possible to excel at combat without practising combat. In my opinion, this is the one and only reason for Aikido’s waning popularity. Aikido no longer has a good reputation as a practical fighting art (as it certainly did in the early days). Most Aikido students cannot fight worth a damn, because we rarely if ever practice realistic fighting. We are not confident to use Aikido in self-defence, because we rarely practise realistic self-defence. If we want Aikido to become more popular, we need to include regular, realistic combat practice from the very beginning. In order to stay true to the ideals of Aikido, we can continue to focus on helping our partner, rather than on winning a competition… although friendly competition can help us all to improve. Uke should use an appropriate level of force, resistance, and technique to help Shite learn, while keeping it real. 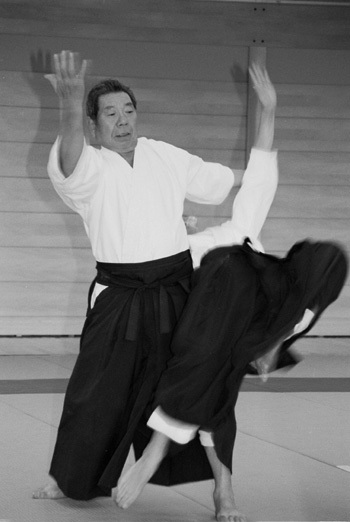 Uke should use conventional attacks, not Aikido techniques, at least for the beginning. Shite should be responsive to Uke, use Aiki with minimal force, and avoid injuring Uke. In the dojo, safety and mutual learning are more important than winning. 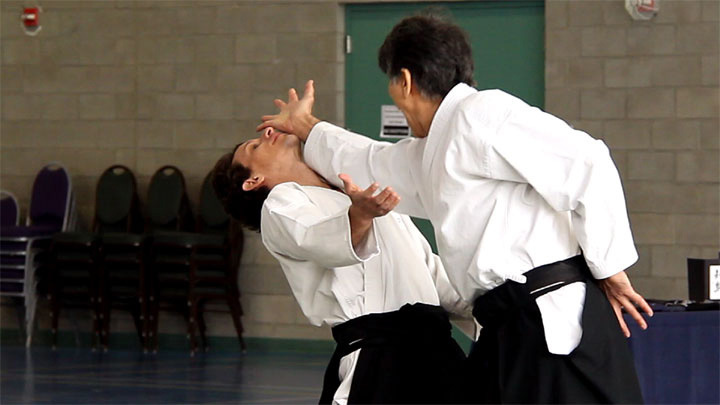 It only possible to develop effective spontanteous improvised technique like O’Sensei’s “Takemusu Aiki” with dedicated training, including realistic combat against random forceful attacks from resisting opponents. But it should be possible for even a casual martial artist to achieve this to some extent. Regular realistic combat training is the missing ingredient for for learning effective Aikido more quickly and efficiently. Aikido is Budo, and Budo by it’s definition (武-“Martial”道-Way) should include teachings of combat that are practical to the student of the art. Aikido practice has much more to offer, but it is in essence a martial art, so if people that go to an Aikido Dojo in search for a way to learn an effective method to defend themselves find that the art does not have what they are looking for, they will lose interest because their initial expectation was not met and will seek the answer to their needs somewhere else, therefore also missing all the other benefits that Aikido practice can offer. Any art, system, method, service or product that promotes or promises one thing but delivers another will eventually lose popularity and credibility. But we can not control or prevent how other people train and teach Aikido, we can only do our part and give our best to contribute a tiny bit to the art we love. So study, practice, research, experiment, test and put the extra time needed to make “your” Aikido the effective martial art you want it to be, so when a new student crosses paths with you he might get inspired and motivated to delve into Aikido as well. If an art, system, method, service or product delivers what it promotes, it’s effectiveness will spread and it will become popular. We can only contribute in the promotion and dissemination of Aikido as an effective martial art at a local level, in our own Dojos and groups, and if every serious student and teacher do their part, like Pranin Sensei has done for decades, then the effects will reach global scale eventually. A few years ago, as chair of the Grow Aikido Committee of the Canadian Aikido Federation (CAF), I recommended initiatives that I felt would help grow the art in Canada. I was struggling in my own dojo and was looking for help to keep my group viable. In my mind, the first thing to do was to clearly identify the specificity of Aikido. What makes it different from other martial arts? I believe that the name itself Ai Ki Do tells the story. Central to the practice of Aikido is Ki or Universal energy. Aikido develops a strong center, excellent extension of Qi and the ability to blend with aggression. But in many styles the focus is mainly on the physical manifestation of the art. In my experience very little time is spent cultivating strong Ki or universal energy. Secondly there is a strong tendency towards centralization. In the CAF, for example, only high ranking black belts can test students for 2nd and 1st Kyu, not to mention for Shodan, effectively diminishing the local instructors ability to manage and grow his or her own dojo. Also some basics were just not there, mainly an association that focuses on service to members with a greater presence on the Internet and the introduction of a kids curriculum. Changes were slow to come. Too late for my dojo which closed about a year ago. I love this article from Stanley Pranin. So confronting and true. I too am tired of the pre=arranged demonstrations, and those uke that should be in the Circe de Solei. Also those practitioners who utilise there prior knowledge of the technique being practiced to stop name being able to perform it. Yes, they stop their own progress, but at least boost their egos. I study the same sword style O-Sensei studied whilst morphing the Takeda family’s Ju-Jutsu style in the Aikido we all know and love today. This sword study has made me very aware of how to slide and move off-line, otherwise you will be cut. Keeping the sword in mind whilst practicing Aikido, has made my Aikido so much better, smoother, easier and more proficient. Also, the sword makes you more a surgeon than a lumberjack. Precision and skill with a scalpel, rather than chopping trees. I highly recommend that any Aikido practitioner, who desires more and actively seeks more, should study a traditional Japanese sword style (preferably Yagyu Shinkage-Ryu). Only the study of a traditional Japanese sword style will give you the full body movement required to cut an opponent down properly, effectively, and efficiently. These exact same movements are in Aikido, you only need to watch O-Sensei video to see them. Your attitude, manner, understanding, knowledge, skill and precision will improve immensely. This new Aikido journal format is really amazing. So glad that someone took up the torch from Stanley Pranin, and is carrying it forward. Many thanks and gratitude to you all. It’s great to hear from you and thank you for sharing your insights and experience. I’m glad you are enjoying the new format. We have lots of exciting projects in development and looking forward to sharing more updates with you soon. I’m happy to have you as part of the community. Reading this article and the comments below it’s clear that Aikido’s problem is that it suffers from being locked in a bubble. The disdain for other fighting arts and worship of a man that none of you ever met is pretty cultish. The rise of MMA has been a wake up call to all traditional martial arts. All the scoffing and derision of violence in the world won’t convince the unindoctrinated. Only demonstrations of effectiveness will do. To meet that challenge you have to be willingness to look honestly at what you do and compare it to the challenge that you face. Can you really blend with a jab? How about a kick to the thigh? So your only about self defence, not ring fighting? Fine, stand in a corner and let uke rain non stop blows on you from 1 foot away, see if you can defend. If you can show the world. If you can’t ask why not.